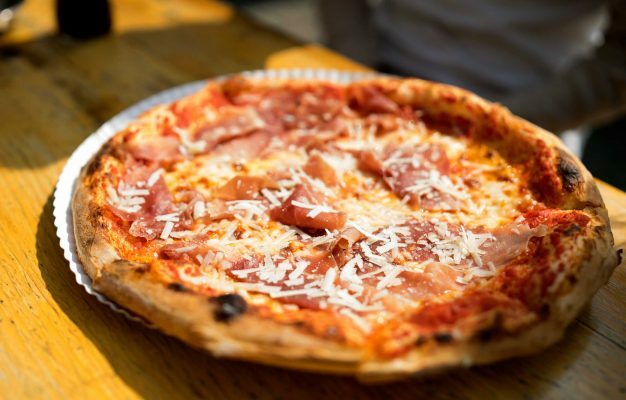 Zola is the Kreuzberg pizza restaurant that opened in 2015 and joined the ranks of quality Neapolitan style pizza in Berlin. 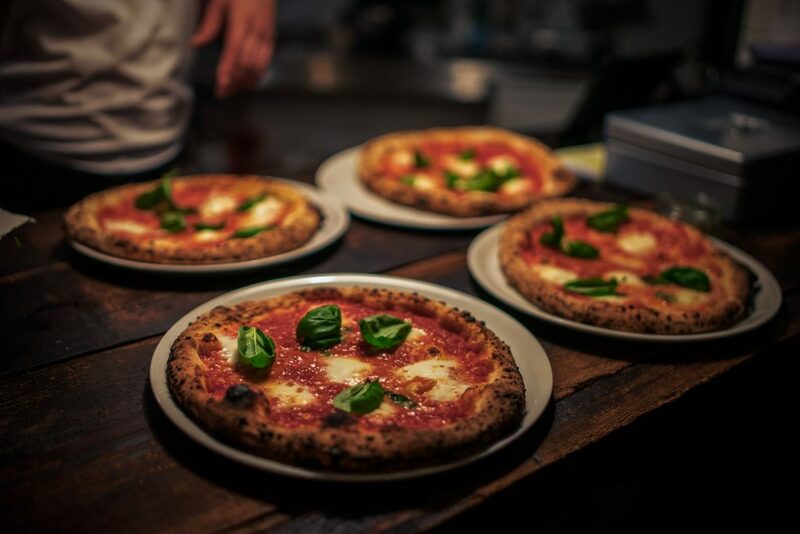 With its massive, wood-fired oven, Zola dishes out some of the tastiest pizza Berlin has ever seen and has in less than six months earned its spot as one of the best pizzas in Berlin. 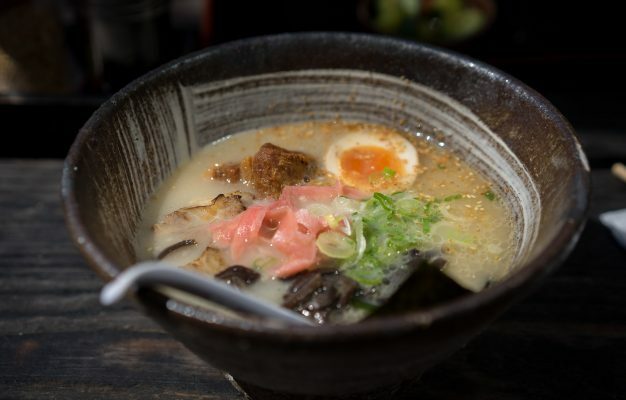 When Zola opened in the summer of 2015 in the backyard of Paul Lincke Ufer 10, hundreds of people came to celebrate the opening of the restaurant. Zola’s owners picked the location well, the Kreuzberg side of the canal in this area counts among the finest real estate for restaurants in Berlin. 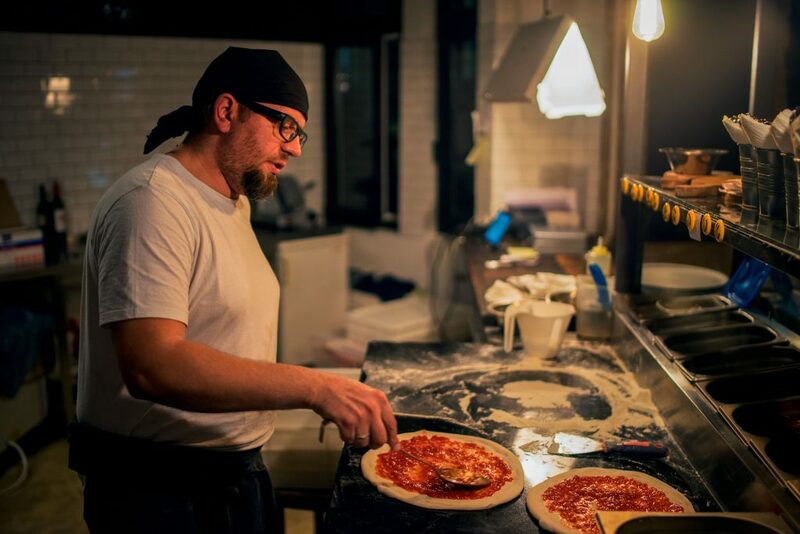 Six months later, the rumor about one of the finest pizzas in Kreuzberg has spread far beyond the Kiez and hungry diners from around Berlin make the journey to Zola in order to sink their teeth into the steaming hot pizzas head pizza maker Lukas bakes. Meet Lukas. 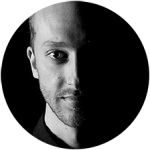 Lukas is from Poland, speaks fluent Italian and has never been to Italy. He also truly loves pizza and learnt how to bake proper, Neapolitan style pizza in London while working at Pizza East. Then he was headhunted and recruited to bring his pizza magic to Berlin and start Zola. When people asked me about a culinary trend in 2015, one of my most frequent answers was Neapolitan style pizza. 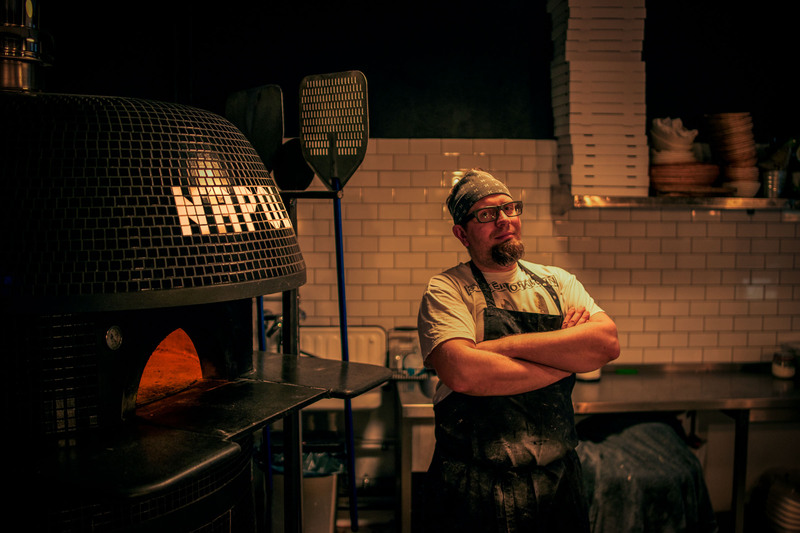 The opening of several, hip pizza joints has sparked a never before seen interest around the topic of artisanal pizza and even existing restaurants like Masaniello have seen a lot more people coming in for the thick-crusted pizza variety from Napoli. You’ll find Zola hidden in the backyard behind Concierge Coffee, the famous coffee shop that will offer you an excellent cup of coffee after your Zola pizza frenzy. Concierge and Zola share even more than that since the guys from Concierge roast their coffee beans in the back of the pizzeria. 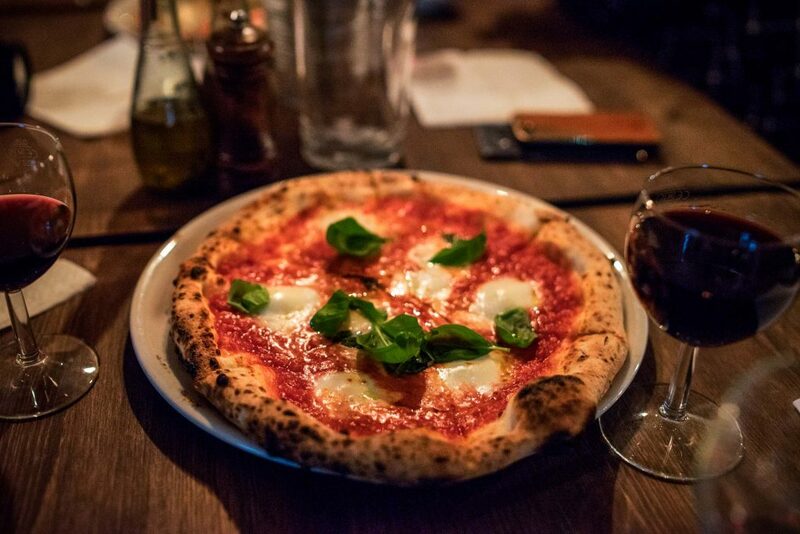 So yes, there is plenty of space at Zola and the simple venue keeps the focus on rather intense and short-lived pizza experiences, it’s not necessarily the place you hang out at for hours and hours. This is emphasized by the fact that you order your food and drinks at the bar when you come in and also by the fact that you can’t reserve tables. The centrepiece of Zola is the massive, wood-fired oven. This oven is a true beauty, all covered in black tiles it kind of looks like a submarine and it can be fired up to staggering 500 degrees Celsius during peak times. Zola is one of the few restaurants in Berlin to boast a proper, wood-fired oven and head pizza maker Lukas truly knows how to work this baby. His pizzas don’t spend more than 60- 90 seconds in his oven, but when they come out their crust is full of slightly charred blisters, the cheese perfectly melted and the toppings steaming hot. The dough is of exceptional quality, hitting that precious balance between elasticity and slight crunch. 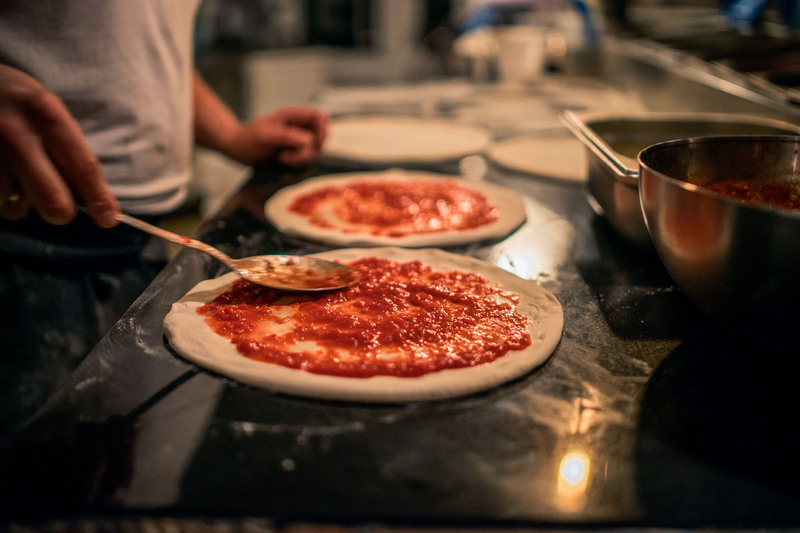 For the base toppings Zola uses San Marzano tomatoes and Fior di Latte cheese, so this pizza ticks all of the boxes of an authentic product from Italy. There are a couple of pizzas on the menu at any given time and there’s also usually a weekly special on the menu. There is really no way to call out a single best pizza at Zola, it truly comes down to preferences. I do however have a lot of affection for the classic Margeritha with cheese and tomatoes, it’s just hard to top that simple goodness. 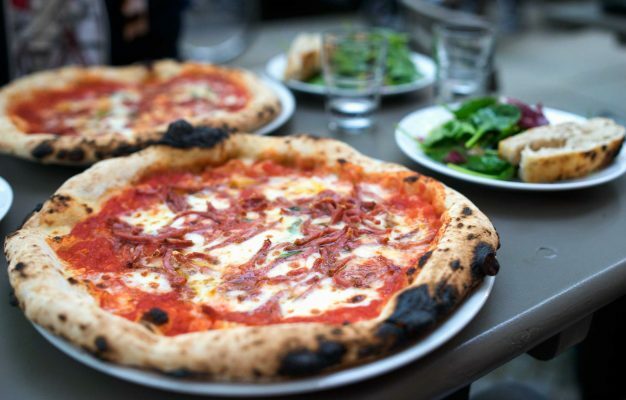 Zola is a killer pizza restaurant and has in its few months of existence managed to establish itself as one of the prime pizza places in Berlin. Within the current pizza buzz it is impossible not to compare Zola to Standard, the Neapolitan style pizza restaurant in Prenzlauer Berg that opened just weeks before Zola did, serving a very similar product. In the end there are both very good pizzas and also very similar when it comes to quality. On one hand the Zola pizzas get a fantastic crust and aroma from the wood-fired oven, something the gas-fired oven at Standard doesn’t achieve to the exact same level. On the other hand, the Standard crew sources slightly better quality ingredients and the toppings on their pizzas are just divine. But then a Neapolitan style pizza is always a gamble and both Standard’s and Zola’s quality can vary a lot during any given day. In the end there is really only one thing you can do. Eat copious amounts of pizza and find out for yourself.